Finding the perfect braces provider in Essex County, NJ can be a very difficult process. Ensuring that you choose the right one for you or your child can make a major difference in your treatment. Orthodontists are specialists who treat oral issues related to misaligned jaws and teeth. Most people think of orthodontists when they require braces, and since this kind of treatment is usually in question, it is best to choose an orthodontist wisely. At Milestone Orthodontics, Dr. Matthew Milestone has come up with a few tips to ensure that you choose the right orthodontist and end up with a beautiful smile. Usually your dentist will be the first to spot any orthodontic issue, and will therefore recommend a dedicated and impressive orthodontist that he or she knows. Your dentist is likely to recommend the best, but you could also ask around amongst your friends and family members. Usually, candid feedback from actual patients will give you a prudent idea about the types of orthodontic treatment you can expect. Lastly, you should also consult online research before ultimately choosing an orthodontist in Essex County, NJ. While looking for the best orthodontist in Essex County, NJ, you will obviously consider the level of knowledge and expertise of the person. Luckily, there are ways for determining their expertise and accomplishments. All orthodontists have to complete additional two to three years of training after dental school to qualify. The orthodontist that you choose should also offer various choices for your orthodontic treatment. At Milestone Orthodontics, we not only offer different braces types, but we also offer Invisalign clear aligners. Dr. Matthew Milestone is a Certified Invisalign Provider and has been helping patients achieve their dream smile for years now! Apart from expertise and skill, the other main point to consider while choosing the best orthodontist in Essex County, NJ is how much the orthodontic treatment is going to cost you and any payment options that are being offered. When the treatment involves braces it is usually quite expensive, and you will want a payment plan that you can afford. Most orthodontists provide plans of monthly installments that are spread over the period of treatment. However, inquire about the different payment plans that are on offer before you make a decision. 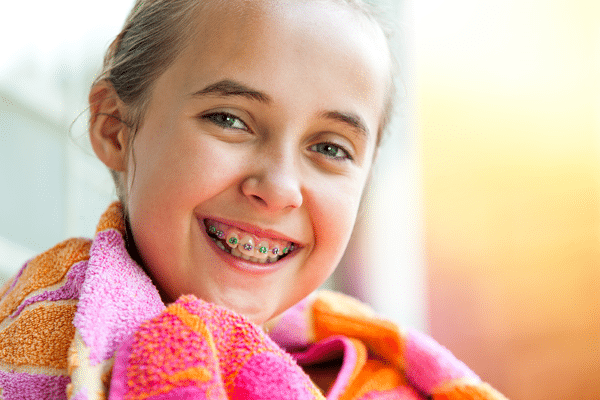 Braces have evolved considerably during the past decade and there are now many types to consider. When you are choosing the best orthodontist in Essex County, NJ, make sure you have access to all the latest treatment routes to take. The orthodontist should not be trying to sell you the most costly product, but rather discuss the advantages and disadvantage of various doors to open so that you can make an informed and suitable choice. If you’re ready to take the step toward a perfect smile, don’t hesitate to contact Milestone Orthodontics today!